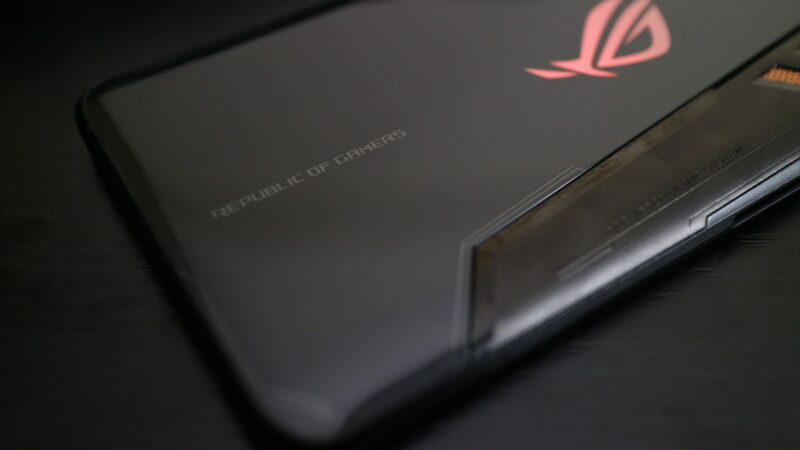 We finally got our hands on the ROG Phone and we were able to use it as our daily driver to provide you a more in-depth discussion of what is dubbed as “the smartphone that will change the game”. Read on below for our full review! First, as a refresher here’s what the ROG Phone has to offer to every gamer out there. 108.6% DCI-P3; 10,000:1 contrast ratio. 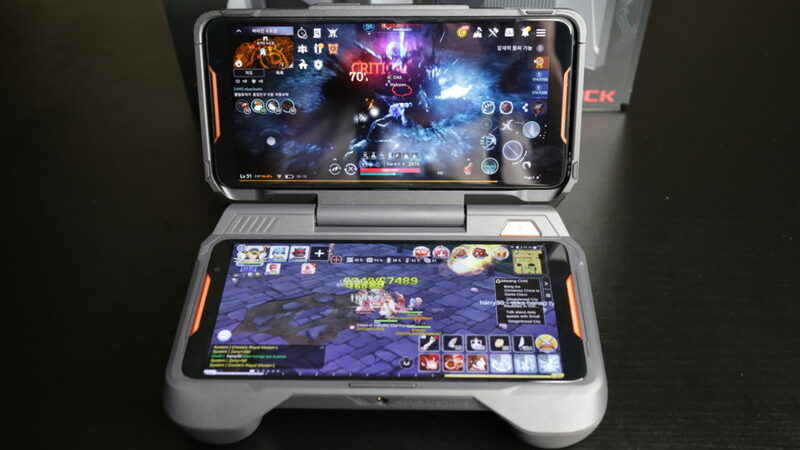 The ROG Phone is a combination of metal frame and glass with the aggressive and modern design of ROG gaming laptops being carried over as well on it. The unsymmetrical placement of the camera and fingerprint sensor, as well as the engraved graphics on the back and side, looks so out of this world for a smartphone. But still, a beauty for us knowing that it is a gaming centric smartphone. You know it is dedicated to gaming when brands take innovative steps to adapt to gamers. Like what they did with the USB Type-C port. It’s a hassle when you find yourself in the middle of the clash and then there goes the Type-C cable sticking out on the bottom side of the phone. With the ROG Phone having the side-mounted ports dedicated for Type-C or the AeroActive Cooler, gaming is hassle-free! 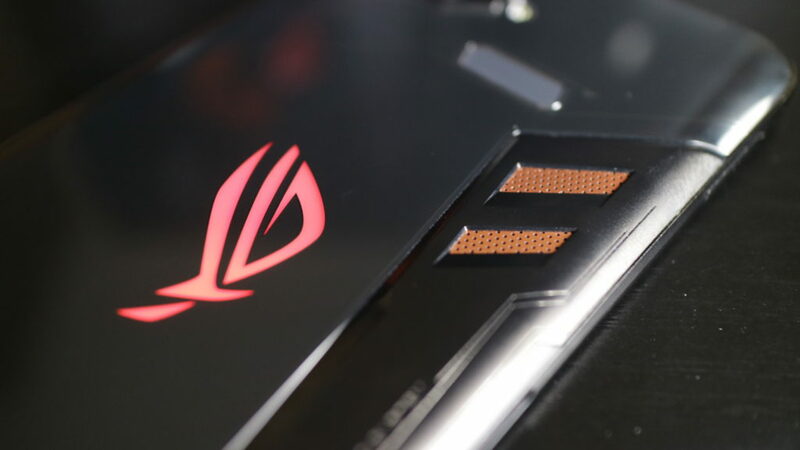 The ROG logo branding is located as well at the back and it has RGB lighting which supports Aura sync. 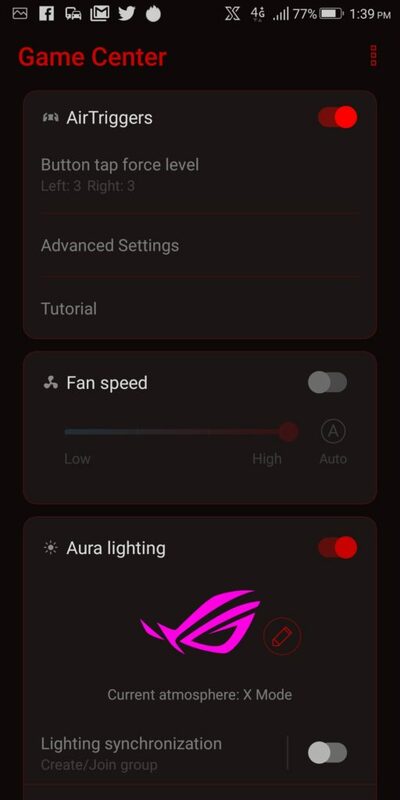 This allows you to synchronize your ROG Phone with other peripherals that have Aura Sync. Based on all the smartphones that have gotten into our hands, the ROG Phone is the first one to be overclockable. 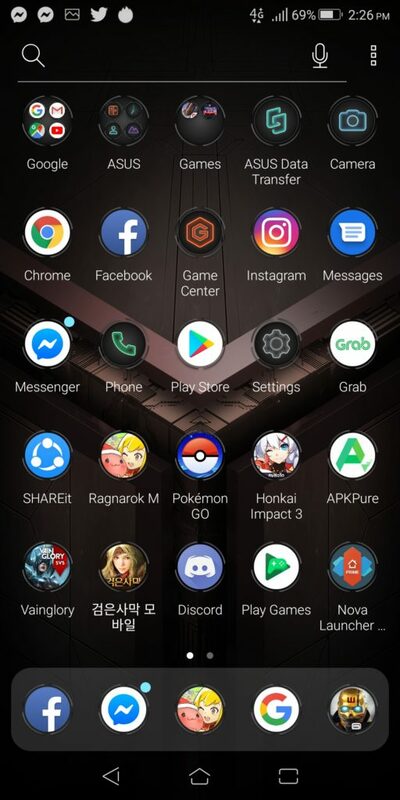 This can be done by opening the Game Center app, selecting a game profile, and adjusting the CPU clock speed depending on how much power you think the game needs to run smoothly. This is a plus for the ROG Phone as it lets gamers to manually set the clock speed and take full advantage of its 2.96 GHz speed-binned Qualcomm Snapdragon 845 CPU for a smoother gaming experience. Although, such processing power generates so much heat on the ROG Phone while gaming. This is as we’ve experienced it on our own. But thanks to the detachable AeroActive Cooler, it helps in the heat dissipation for a maintained framerate. 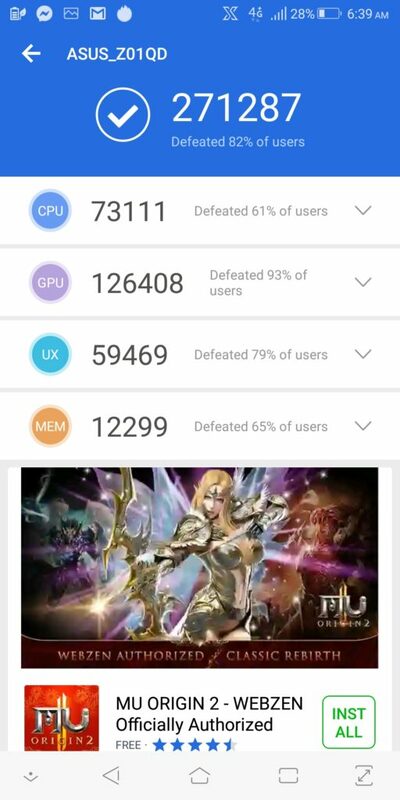 Here are some benchmarks we did with the ROG Phone. 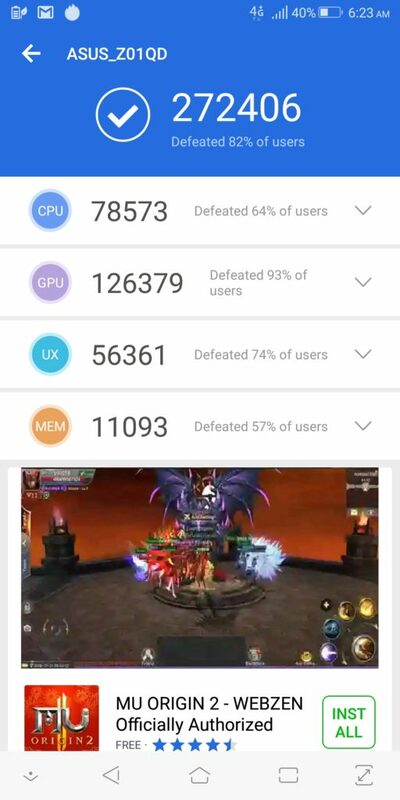 The first screenshot shows the benchmark results of the ROG Phone with X-mode turned OFF. The second one is with X-mode turned ON (as shown by the “X” logo on the status bar). 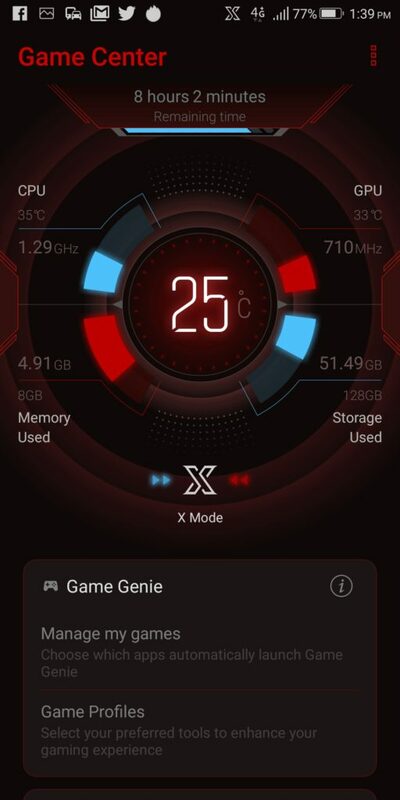 The third screenshot shows X-mode turned ON but this time with the AeroActive Cooler attached. We do not know what happened here but it shows a decreased result even after several tries. It could be that the AeroActive Cooler doesn’t have any bearing with the performance rather than just aiding with cooling. 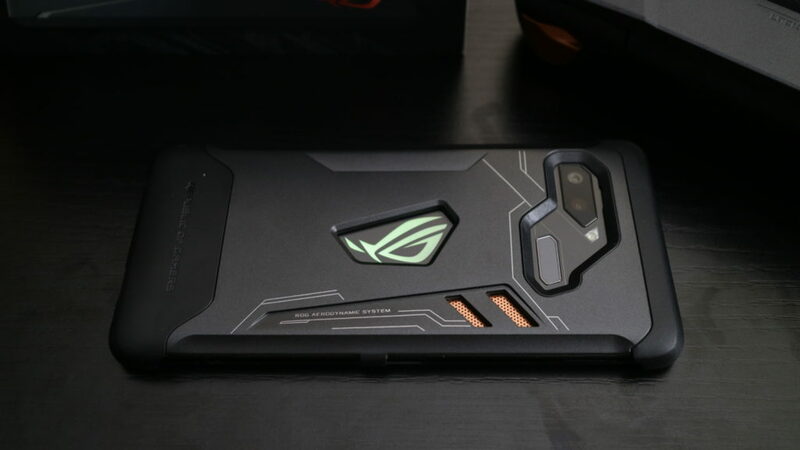 ASUS have decided to use an AMOLED display for the ROG Phone. With 108.6% DCI-P3 color gamut, the colors on the screen appears to be much richer and vivid compared to others smartphones. It also takes advantage of the fast 90 Hz refresh rate and 1 MS response time. Although not the highest compared to IGZO-IPS displays which can go up to 120 Hz, ASUS says it is still the highest refresh rate for an AMOLED display. There are a few advantages and disadvantages of using AMOLED for a gaming smartphone. One advantage is that it consumes lesser battery juice and the disadvantage is that it is also prone to screen burn. One that you do not want to have on a P49,995 gaming smartphone! But unfortunately this is inevitable especially if you really intend to use the ROG Phone for longer gaming. 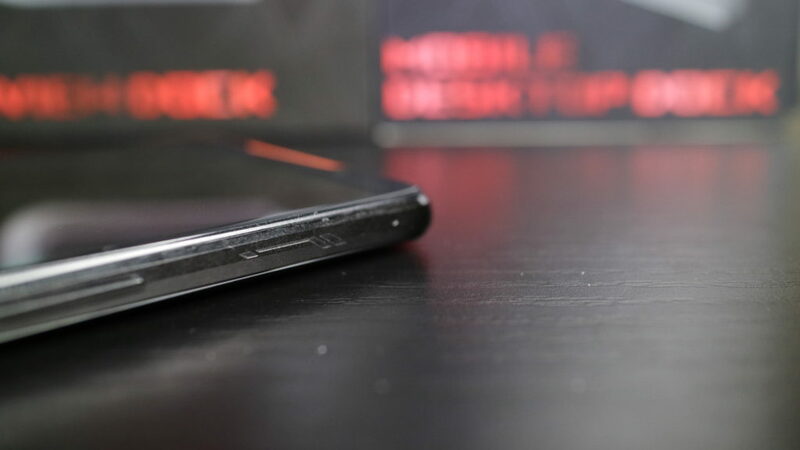 Screen burn is not an issue of the ROG Phone but rather of the AMOLED display, which means this is also present to smartphones such as Samsung’s Galaxy and Note series. The ROG Phone packs a 4,000 mAh battery to keep you gaming for longer hours. We expect it to run out of battery within 2 hours of gaming knowing that the ROG Phone is powered by Qualcomm Snapdragon 845, although battery efficient, it is overclocked to 2.96 GHz making it more power hungry especially when running games with the best graphics quality. 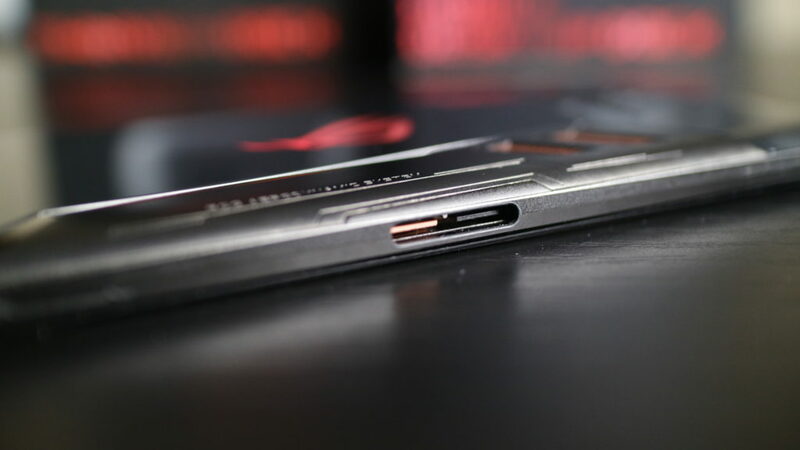 But, surprisingly the ROG Phone surpassed our expectations and managed to stay longer for more hours of gaming. 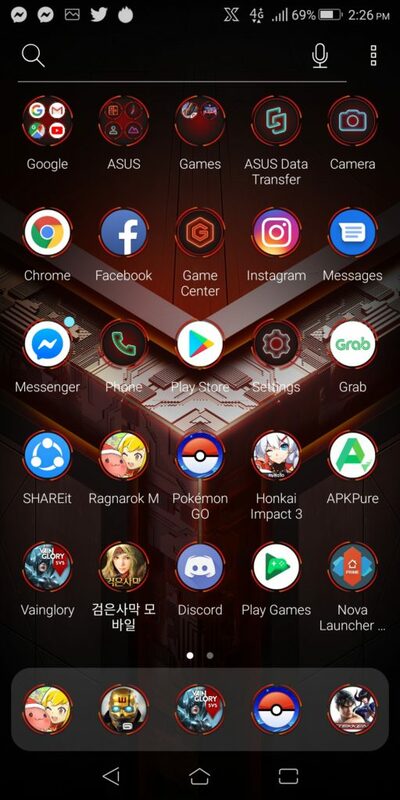 The UI of the ROG Phone is very similar to what the current ZenFones are pre-installed with. ASUS just changed its name to ROG UI (ZenUI for ZenFones) which we think is lame and is where the phone lacks some “brainstorming”. 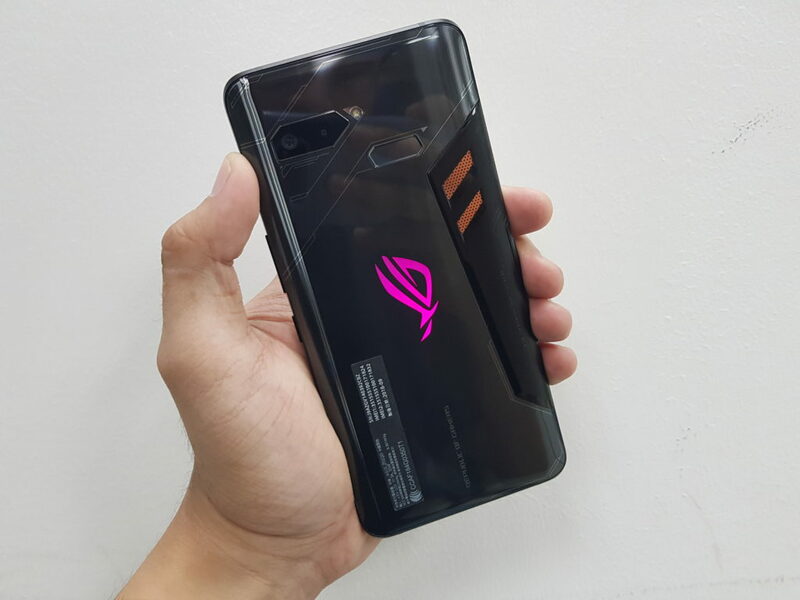 The ROG UI is still bearable but we hope ASUS will develop a better System UI that will fit a gaming smartphone, that is if there’s another ROG Phone coming out. No doubt, it’s the AirTriggers that made the ROG Phone innovative and built for true gamers (not to mention the full eco-system of accessories which will be featured here soon!). The AirTriggers gives full control to gamers by allowing you to map virtual keys over a games’ on-screen controls. This is very beneficial to gamers who play FPS games like PUBG. When in portrait mode, the two AirTriggers on the left and right also serves as the pressure sensor to activate X-mode. 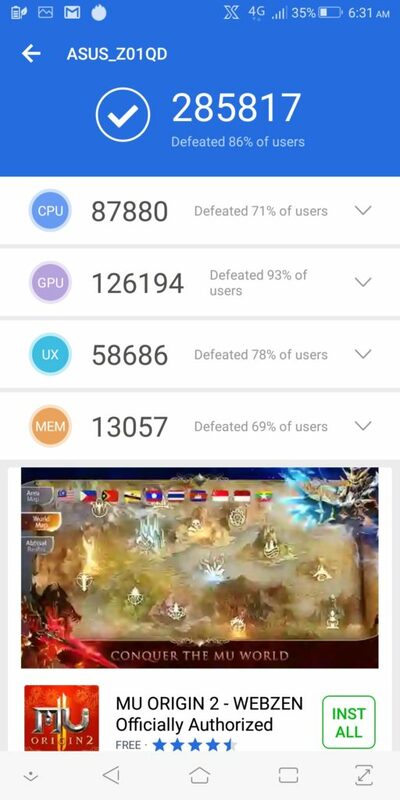 The Game Center is the equivalent mobile app of ROG Armoury (ROG laptops), here you can check the live status of your CPU, GPU, RAM, and Storage. You can also customize your game profiles here where it allows you to set the CPU clock speed per game. The RGB Aura synchronization, fan speed, and even the customization for the AirTriggers are also found in the Game Center. It’s not just for gaming, it also excels in the photography division. 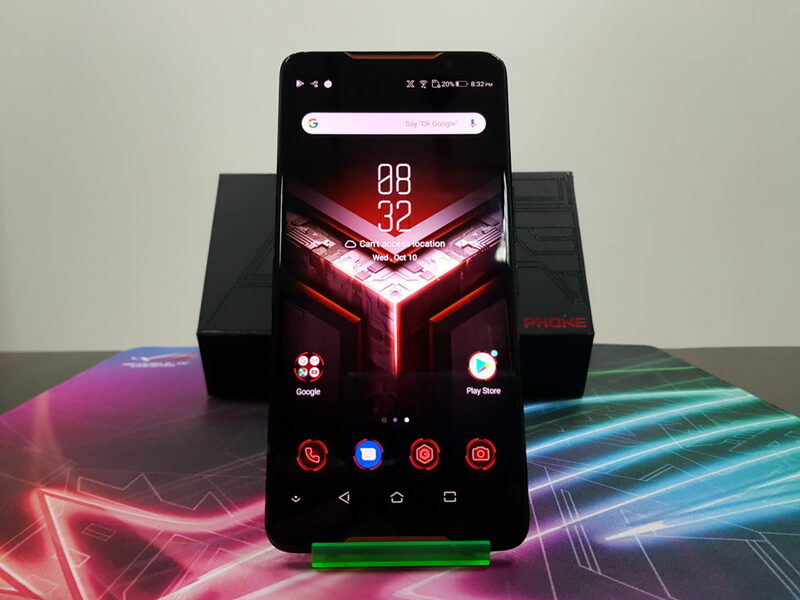 Before the release of the ROG Phone, many end-users were expecting that ASUS will just focus on its ROG gaming DNA and will leave the camera performance behind. But it’s not the case here as the ROG Phone also shoots good photos with its Sony IMX 363 12MP dual-pixel image sensor combined with a 120° wide angle camera. ASUS really did well on the ROG Phone as it really level up your gaming experience – thanks to their innovative features and design. 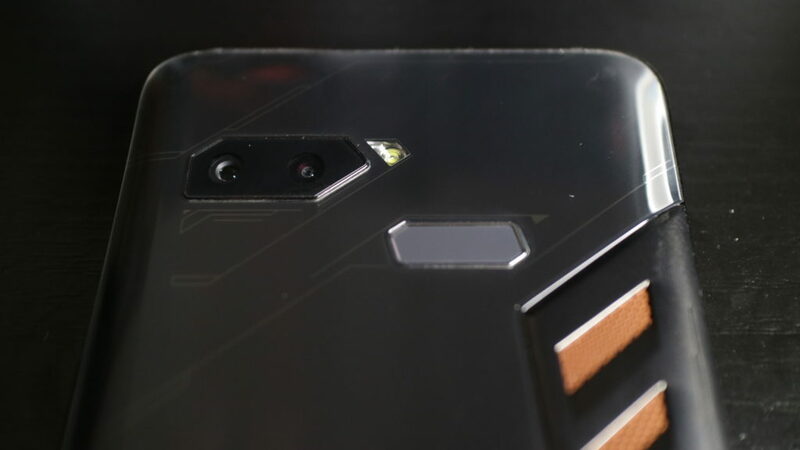 The ROG Phone also seemed to be perfect but still there are a few aspects to improve or to reconsider in building their next gaming smartphone. If you are really into gaming, the ROG Phone is the best investment for Php 49,995 (128GB ROM/8GB RAM) or Php 61,995 (512GB ROM/8GB RAM). But if you are a casual gamer, definitely this smartphone is not for you. There are lot of options out in the market that can suffice your gaming needs but of course without the innovation found in the ROG Phone.